These are the findings shared by Mark Murphy founder & CEO of Leadership IQ, a leading management and employee engagement experts quoted in his book “Hiring for Attitude: A Revolutionary Approach to Recruiting and Selecting People with Both Tremendous Skills and Superb Attitude”. Recently an IT solutions based Organization expressed a desire to have a training program designed for their Team and Project Heads on Hiring Skills. While these key people were involved in conducting the technical round interviews, the top management saw a tremendous need to develop a mind-frame for their employees to identify a right hire by looking beyond relevant work experience and technical competency. The reason… of late they have had cases of seemingly right fit that quit or are asked to quit due to an attitudinal misfit. Some organizations also follow the Byham model, wherein companies work to understand their star performers, identify their target behaviors and attitudes, and then develop interview questions to find people with those attributes. Bill Byham, and CEO of Pittsburgh-based Development Dimensions International (DDI) and a pioneer of “Targeted Selection” method of hiring propounds that the best way to select people who’ll thrive in your company is to identify the personal characteristics of people who are already thriving and hire people just like them. Another modern method of hiring people with a right balance of Knowledge Skill and Attitude (KSA) involves the Simulation methods. Very popular with MNCs such as IBM, Toyota, this exercise comprises of establishing simulation assemblies. Charles Austin, an Atlanta-based consultant with DDI, has helped organizations design such facility. He says “people who don’t have the mental stamina to meet BMW’s “aerobic workplace” requirements don’t get hired.” Similar facilities have been built for other automakers (including Toyota and Subaru). For another simulation built for Cessna single-engine airplane factory, Austin developed an elaborate role-playing exercise for managers that simulate a “day in the life” of a harried executive. A job candidate spends up to 12 hours in an office with a phone, fax, and in-basket stuffed with files and letters. Throughout the day the prospect works through memos and handles problems. Certain organizations arrange for short-listed finalists to shadow star performers this becomes a win-win situation, for a good expectation setting for candidates and two to get an unbiased feedback from the current employees in terms of behavioral competencies. A modern day phenomenon to check the attitude of the millennial employees is to explore and analyze their presence on the social media. A look at the social networking sites and personal websites presence of a candidate can speak acumen of social behaviors which would otherwise be difficult to gauge. It is a good practice to start identifying attitude reflectors such as stickiness with previous organizations, educational gaps, sudden exits, career journey, choice of past employers and projects. While it would be just a starting point, it could help the interviewer set certain hypothesis that need to be tested during the course of the interaction. Most often organizations are not very clear about what defines a right attitude. Defining key behavioral competencies that are desirable to the given role becomes a good beginning for the search for a right fit. Once such traits and competencies are identified, narrowing down tools and measures to identify the key competencies in the prospective hire becomes a smart way of hiring for the right attitude. Evaluating an attitude from a resume requires keen observational skills and deep human insight. Such characteristics can be exhibited through answers to questions which go beyond the traditional interview methods. Going beyond the cliché “Tell me something about yourself” to a more relevant question keeping the business needs and job requirements in mind would help bring out the critical aspects of the candidate’s persona and provide some food for thought for a right people decision. The interviewer should always aim at knowing the multiple facets of the candidate by presenting pertinent situational questions, keeping in view the job profile. A question such as “ imagine that a customer is giving you last minutes changes in the requirement and expecting them to be incorporated in the solution to be delivered in next 36 hours. How would you handle the situation” would give a good view to the candidates’ analytical, problem solving, conflict management skills as also the ability to innovate and negotiate in real time. Similarly a question such as “A manager asks you to lie to a customer about viability of one product choice as against the other in order to book greater profit, Would you follow their instructions or not?” cannot be categorized as good or bad but can be considered as a measure of core values. Finally the key to successful hiring depends on the interviewer’s ability to listen to the said as well as the unsaid. The words and beyond them, the noise as well as the silence that is witnessed during the interaction. Organizational investment in these little things while making talent and people decisions would lead to big differences in the way of doing Business. How you say it is more important than what you say! The above statement applies to all conversations in general. However, it holds prime importance in the context of a group discussion or interview.A large number of MBA aspirants prepare passionately for important GD topics and appropriate answers to some of the common interview questions. However, shocking as it may be, what you speak during the procedure carries only a part of the entire weightage that the process holds. What interviewers and GD panel members use to evaluate your personality is more than the words you speak. 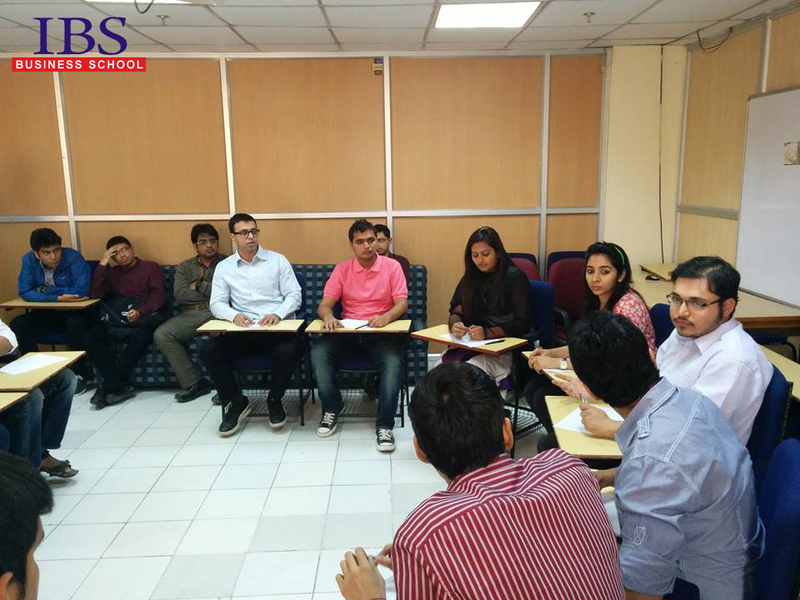 The panel members and interviewers keenly observe the body language of the candidates.What they perceive about your personality can easily make or break your chances of getting admission in a B-school. Therefore, it is very important for every candidate to portray a positive body language to be able to create a good impression in the interview. Read on to know more about the right attitude and body language that can be helpful in cracking the MBA admission procedure at the B-school of your choice. To understand the importance of positive body language, candidates must understand that it is not just the mouth that speaks but the entire body acts as an instrument of speech. So, you must first understand how your body speaks and then learn to manage and control the non-verbal messages that you send across to your audience. Demonstrating a positive body language is important as interviewers pay attention to the slightest details of your postures and gestures during the interview. Experts advise that you must know how to use your body to effectively enhance your verbal message. Leaning forward slightly towards the group during the Group Discussion and the interviewer during the Personal Interview would go on to show that you are interested. Giving listening cues such as nodding whenever a fellow aspirant/interviewer makes an important point shows your engagement in the process. On the other hand, gestures such as scratching your head, repeatedly crossing and uncrossing the legs or touching your face are all instances of a nervous body language.These actions must be avoided by the candidates to be able to make a positive impact on the panel members. The handshake is a courteous way to acknowledge your interviewer but you should not take initiative to shake hands. Let the interviewer shake hands with you as this is the right way to proceed in an interview. The handshake is the first unspoken assessment of your personality.So, make every effort to impress your interviewer with a confident and firm handshake. Some candidates may shake hands too firmly while others might engage in too limp a handshake. The former might indicate aggressiveness and dominating attitude while the latter one is a sign of weak personality—both of which aren’t good. A proper handshake is firm to the right extent, gives the right kind of contact for an appropriate duration. With a smile and good eye contact, it becomes a good one. Crossing your arms in front of the interviewer can be perceived as being defensive. It might also suggest that according to you, whatever you are saying is correct and you do not want to accommodate someone else’s views or opinions at all. Therefore, it is advised not to cross your arms during the interview and discussion processes. Instead, sit upright with your arms rested on your thighs to cut out a confident picture. It might be easy to prepare for the group discussion and the verbal component of the personal interview by studying hard and being well versed with the latest happenings of the world. But candidates should understand that portraying a positive body language is as important as speaking and performing well in the group discussion and personal interview. It is not just about questions and their right answers, but about participating in the selection processes with a favorable body language. Show them that you have the power of expression in you! No one in this planet is born as an encyclopedia. No matter how much you read, there are certain times when you stumble upon a conversation, where you know nothing about the topic and if that conversation happens to be a group discussion then the chances of your stress level going rocket high increases manifold. Now since I have had the opportunity of sitting in nearly a hundred GD’s, I thought of sharing some points which I found to be effective when you have no idea of the topic. Again, this is just my personal judgment and not based on any statistics. Listen attentively – It is a very common misconception that if you do not speak during the first half of your discussion then your chances of cracking a group discussion diminishes. You can contribute at any time during a discussion and if your point is relevant and if you deliver it appropriately then your chance of cracking a GD is as good as anyone else’s. Listen very attentively to what others are saying and try to understand what the topic is all about. Take 2-3 minutes to understand. Try to find a similar topic from discussion – The best part of a discussion is that sometimes you can divert the topic of discussion to a related topic. Try to find a topic from the discussion, using which you can steer away the discussion to something you know. For example if the topic is hockey, u can steer it to cricket. The key is to find the right opportunity. It may not be as effective but it is always better to speak something. If not discussion, give a good summary – Summary is the most important stage of any group discussion. Sometimes invigilators judge a candidate only on the basis of the summary given by him. When you don’t know anything in a discussion, note down each and every point that has been discussed and give a good thorough summary. Many times invigilators ask every student to give a two minute summary, but if this is not the case, don’t lose the opportunity of summarizing the discussion. Keep track of the time as most of the students forget to do it as soon as they get into discussion and jump into the discussion when last two minutes are left. Try to speak for the entire time interval so that nobody can counter attack your summary with theirs. Repeat someone else’s point – This is not a very effective method, but try to find someone whose point was neglected in discussion and use it as your entry in discussion. The reason why a point gets neglected in a discussion is when the person who said it is not confidant enough and let another person cut him in the middle, or a point has absolutely no relevance. You have to find the former reason. Repeat the same point, but this time with assertiveness, as if it is the most important point. Make friends, not enemies – This means try to agree with people and not disagree. If you will disagree you will have to come up with a whole new example which you will not know as you don’t know about the topic but if you are agreeing you will just have to add a small point to their example. Manage the discussion – In a group discussion there are many parameters on the basis of which a candidate is judged. Leadership quality is one of them. When nothing is working, try to show your leadership skills. Regulate the discussion in an appropriate way, so that invigilators can check your dominance and assertiveness. There was a group discussion, which I remember, where the topic was “there is no good way of doing a bad thing”. I remember everyone speaking without relevance when one guy swooped in and started managing. All he did was to say things like “guys let us not make this a fish market”, “I think we should let everyone speak starting in a clockwise manner”, “I think we are diverting from topic, let us get back to the point where we were discussing about…” When the results came he got through and I didn’t. Jibber Jabber does not work in a group discussion. Whatever you say, say it with assertiveness. So these were few tips on how to manage a group discussion when you know nothing about the topic. However, it’s always better to be well-versed in current affairs and news to avoid being in such a situation. Hope this article will prove to be advantageous to you. Expiry date on your bank notes! The other day, to my surprise, the bus conductor refused to accept my 100 rupee note saying something about a missing year. To my relief, my usual veggie seller promptly accepted it, unaware RBI’s notice of withdrawal of pre 2005 currency. He could at most keep it till March 31, 2014 the date till which it will be acceptable. Holding on to it beyond July 1, 2014 would have him go marching to his bank branch (assuming he has an account), waiting in long queues to exchange it for a new note, one which was issued after 2005, with better security features, reducing possibility of counterfeit. Little is he aware that if he possesses more than ten pieces of such 500 and 1000 notes, he is expected to possess address and identity proof and submit it to the bank, and thus get his dues. Vegetable wholesellers from whom he buys too would be lucky to find a nearby rural branch adequately staffed and also stocked with new notes. After all, banks have been known to face shortage of staff to deal with huge walk-ins resulting in long queues. Further, the limited number of branches in rural and semi-urban areas will perpetuate the problem. Similar could be the fate of India’s massive underground network of financial couriers (Angarias), who are estimated to conduct over Rs. 1,000 crore a day in undocumented cash transactions. It will also hit the illiterate sections and those ignorant of the change. The withdrawal of pre-2005 currency although acceptable for legal tender will create panic among its users. No wonder the aware and literate bus conductor was so mindful! Property dealers, gold sellers and other hoarders of cash would be exchanging their currency through dealers inorder to avoid becoming accountable for huge cash transactions. So, welcome the class the dealers, once again! The step taken by RBI is in view of the rising problem of fake notes being detected in the system and reducing the possibility of counterfeiting. Funding of terror networks with fake currency and triggering of inflation needs to be definitely taken care of. The move was also in response to 2 lakh fake notes worth 10.14 crore recovered in August 2013. Central banks, the world over, periodically phase out old currency and introduce ones with better security features. At least seven countries, Australia being the first, have switched over to polymer notes which are made from a thin, transparent and flexible film made of polypropylene. The life of such notes is 2.5 times longer than paper banknotes. Bank of England would be issuing such notes from 2016 and RBI seems to be taking baby steps towards it. We only wish that banks are able to handle this pressure and ensure a smooth journey for the common man. The personal interview (PI) is a very important step towards getting admission to an MBA program in a top B-school.Therefore it is very important for MBA aspirants to take it seriously in every aspect. MBA institutes aim to judge the candidates’ future goals, thinking process, knowledge, personality traits, and communication skills with the help of a personal interview round, a part of the admission process. The personal interview offers a good way to sell yourself effectively in front of the interview panel. While many MBA aspirants would feel nervous or get intimidated before the interview, it presents a good opportunity to express your academic credentials and future goals in a confident manner. For some aspirants, it may even be the first interview of their life and despite months of preparation, it is impossible to predict the questions that may be asked. In such situations, it is advised that they try to enjoy their interview and take it as an opportunity to impress the panelists. Most of the questions asked in a B-school interview range from academic and professional to the more broad discussions pertaining to life. The interviewer might not sound too serious and formal, but he has the job of assessing you on parameters such as your inter-personal and communicative skills and to know your vision as an MBA aspirant. Remember that you are not expected to know everything during the interview as the panel is well aware that you are just a student at this stage. So, be honest and accept that you don’t know a certain things if that be the case. The personal interview aims to evaluate the views and information presented in the candidates’ application and performance in the previous rounds of the admission process. Some common questions pertaining to academic background, work experience (if any) and general knowledge are asked in order to evaluate the accuracy, depth and consistency of the candidate’s knowledge. B-schools tend to give importance to candidates, who have consistently performed well in their academics. This shows that these candidates possess academic discipline, focus and character to survive the testing times of the corporate sector. Let’s have a look at some of the most common questions asked in interviews for admission to B-school of your choice. Perhaps the first question at every interview, this is the one that you must be prepared for. The only question which has a sure shot predictability, you should be able to answer it in a structured, confident, and crisp manner. Your answer to this question will shape the way the interview progresses as whatever you chose to highlight will be the basis for the next few questions. MBA aspirants should have a clear, well thought out and perhaps even well-rehearsed response to this question. You can include your personal details, professional qualification and work experience (if any), hobbies and interests, and your strengths. The purpose of being there for the MBA program?Or Why MBA? The answer to this question has to be tailor made to be able to justify your argument. According to a person’s background and interests, the answer will have to be molded to reasonably prove the version that he is giving out. Answers such as “to make more money”, “to gain more knowledge” are too abstract for this question. Talk about your career objectives & the value-addition that an MBA would provide you with. For freshers, a suitable answer could be “to find a way to get into the corporate world to prove my capabilities” but for candidates who have some work experience, the answer should explain specifically what made them think of pursuing the course. You can tell them about your plans to switch industries or look out for growth within the same domain. The answer to this question can be tricky as you would be judged on every word that you utter and in that case, you could be tempted to try to outsmart the panel members. Remember as a rule that it is just not possible to do that so, be honest and genuine in accepting your weaknesses and showing that you are making efforts to overcome them. This can indicate that you want to improve that aspect of your personality and are open to feedback. Do not be too boastful about your strengths and at the same time, do not show that your weaknesses are way too little to be bothered about. As an answer to this question, you should be able to reason your willingness and potential to be where you’re applying for. This is your chance to tell them all that you have researched about the history of the institute, placement records, their flag ship programs, their ranking, credentials, faculty, academic and extra-curricular activities. Try and get in touch with students of the college to know these details that are not highlighted on the website to show that you have done your homework well. If possible, try to know about the faculty and the style of teaching to express interest in the institute. Where do you see yourself 5/10 years from now? Or What are your short/long term objectives? This is another tricky question, the answer to which should not be “in your position interviewing prospective students”. You are expected to be able to answer in a manner that you justify the reason why you want to do MBA. If you have applied for an MBA in marketing, you cannot even think of sitting and interviewing students few years down the line. Also, do not give out vague answers such as “as a Vice president/ CEO”. Instead, talk of specific work that you would want to see yourself doing at that point of time. For example, an HR professional can see herself devising and implementing HR policies that help maintain the work life balance of the employees of her company. Be specific and be work oriented when answering this question. It is not wise on your part if you assume that there will not be any panel member with knowledge of your subjects of graduation. Revise your lessons well, even if you have some work experience because chances are that you are tested on your basic knowledge of the subject matter to justify your good grades. A thorough knowledge of your subject will immediately earn you a high position in the eyes of the interviewers and help you create a positive impression in their minds. Questions about your hobbies or what do you like to do in your free time? Make sure that you have thought about an answer to this question and researched about the hobby to the extent that you are able to answer primary questions about it. For example, if you like to watch films in your free time, you should be able to answer things about the direction and storyline of your favorite movies, questions about your favorite genre and specific details about the recent award functions related to movies. You cannot simply get away by saying anything that comes to your mind at that moment. You are expected to have a thorough knowledge about what you say is your passion. The answer to this one has to be supported by the reason why you look up to that person. The simple reason why interviewers ask such a question is that they want to know your ethics and values and if they are in line with the personality you are portraying at the interview. You cannot say that you are a great supporter of Mahatma Gandhi and non-violence earlier in the interview and then go on to state that Shaheed Bhagat Singh is your role model. Your role model or the person who inspires you does not necessarily have to be a famous figure; it could even be your family members or a former teacher. It is more important to justify the reason why you think that person is good. While these are some of the most popular question at MBA interviews, you should understand that the interviewers can ask you totally different questions. Each interview is unique and so are candidates sitting for the interview. So, it is your smartness as to how you can be in a position to drive the interview in a direction favorable for you to be able to highlight your strengths. Prepare well and ask your friends and teachers to help you by conducting various mock interviews before you go for the actual one. All the best! When we dig deep into the minds of students and the aspiring candidates for master’s education, we found a lot of confusion about career options and how they link it to the growth paths of those careers. Many also ponder about this issue as students from almost all of the disciplines are pursuing a management degree/program. Ten years back, among those who were pursuing management course, arts and fashion students were taken as shockers. Back then the most popular career paths were medicine & engineering. MBA was an emergent career stream and people were opening towards the professional careers. Within a decade, it became a preferred program for higher studies and slowly it was seen as a fad. But there remains so much of confusion about it. And before we get on to the careers where MBA helps an individual in growth & sustenance it is important to learn why & how a management degree brings the difference. The single reason is that MBA is not a classic degree with lot of lectures and one examination. It is a program which is equally backed with theoretical and practical knowledge. It has forever been positioned as one which prepares a candidate for the corporate world. Helps one practice the challenges, understand the cultural differences and teaches a lot about group dynamics. An MBA Program certainly helps a student in putting up the Thinking Caps. It broadens the horizons and helps in thinking with a wider perspective. Also, the management programs are designed in such a way that it provides overall understanding of the industry, job, consumer behaviors, finances etc – it touches all the chords of corporate lives and business. And that is how it helps one attain the credentials which are valuable and useful in different areas of business. It also helps them in learning cross-functional management. Lately it is been recognized that management education helps in almost all the streams of business across functions – be it finance, marketing, consumers or people. If we talk about the Careers where MBA helps in growth there will be several, so we will talk in relevance to the industry segments & job profiles. A Management Program is developed with a global perspective of how business work worldwide. The pedagogy of an MBA programs offers to polish & improvise the skill-set of an individual. The good b-schools do not limit the exposure opportunities but in fact those are made a part of the program itself through the assignments and internships. There are many universities & B-schools which offer Exchange Programs as a part of the 2 year program. Globally an MBA helps in careers like Investment Banking, Travel & Tourism Management, Fashion and Hospitality as well. MBA Program also helps the working executives in planning a growth path for their existing careers. Many a times, qualifications are set as benchmarks for certain professional positions – be it the private or the government sector. MBA opens the doors for study and growth for those who for some reason couldn’t complete the masters program in life which is very much a requisite for certain promotions & positions. A Management degree brings lot of hope for such candidates. The Executive MBA Programs are now offered in convenient course structures. There are evening classes, online classes, weekly classes and what not. All this makes studying again lot easier and in turn happy learners. Majorly this could be seen in Government Sectors, In Education and those who are into lifestyle oriented businesses – like fashion, beauty, art etc – where is talent is already available but a management programs helps with the business cap. There is a lot of debate about whether an MBA helps in entrepreneurship or not. One school of thought says it is not but most of them believe that MBA has got the right ingredients which help one think wider with a vision. It gives way to analytical thinking and consumer perspective and that in turn helps in development of entrepreneurial skill-set. The Case Methodology @ IBS bring up the real time business stories, subjects like business strategy coupled with group studies and class discussions all work as the value addition. Apart from the practical knowledge based curriculum, a management program equips the candidates with life & behavioral skill sets which are for a lifetime. Leadership, Negotiations, Communication skills are all the soft-skills which are forever required and help in all the careers. The Executive Programs offered now a days, help the working professionals is attaining further education and add value to their qualifications and skill-sets. These programs are designed keeping the job hours in mind so that the class schedules are convenient. Be it the regular MBA or the executive programs – these also help the learners thin in lines of their dreams by giving the practical exposure and how they could be turned into reality. MBA fosters the very idea of Parallel path and that is why today we see lot of entrepreneurial ventures been coming out of the passion or hobby which one wanted to pursue. To conclude, here is a smart advice, you will find so many programs, online courses which promise the similar kind of learning experience like a regular MBA Program. Beware of the courses –as there is absolutely no match of a regular management degree from a B-school. The approach, the faculties, the assignments and projects – everything real time is way different from those sessions and test we do online. Also a B-school atmosphere teaches a lot about cross-cultural functioning, networking and real-time learning with live problems and live solutions. Lastly, an MBA certainly accelerates your career – be it any but before you go for it you must think about the happiness quotient and not just the hefty salary packages and urbane lifestyle. People usually assume this as a ticket to metro’s and abroad but the purpose shall be happiness and work satisfaction which one shall derive from this education. If you have decided to pursue the post-graduate program in management, your next stage will be to gear up for the selection process for admission to a B-school of your choice. Before starting off with the preparations, you must understand the selection or admission process and the right approach needed to taste success in these competitive entrance examinations. 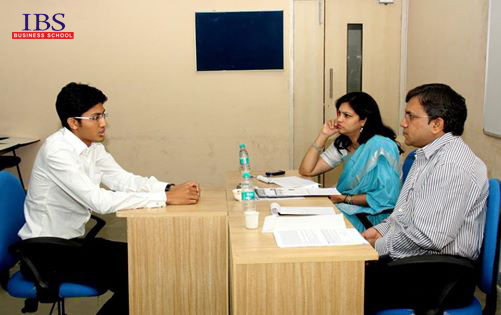 The selection process to get admission to a top-notch business school involves the test of your attitude, aptitude, time management skills,and knowledge—academic as well as general.Generally, all the b-schools follow the three-step process starting with written test, followed by a group discussion, and concluding with a personal interview to assess the attributes such as analytical and communication skills. a section on general knowledge to test your awareness about the latest happenings of the world. To be successful in the test, you need to have the right mix of speed and accuracy as well as good time management skills to be able to attempt all sections of the question paper within the stipulated time frame. During the course of your preparation, you can take mock tests offered by several coaching classes and websites to measure your performance periodically. It will help you identify upon your weak areas and analyze your performance in various sections thereby equipping you with a knack of solving questions within the specified period. One of the best ways to prepare for the group discussion stage is to form a group and have mock discussions on a diverse range of topics from academics as well as current happenings in the political, economic, scientific and social spheres.Mock group discussions will help you perceive a given scenario from different perspectives, lending you an in-depth understanding of the subject, thus widening your perceptions about the number of ways the issues can be seen and addressed. After the group discussion, the final stage in the selection process is facing the personal interview. In the personal interview, the focus may be largely on questions related to your goals and aspirations in life and how the MBA program will help you accomplish your dreams, apart from the generic questions.The interviewers may even put up questions from topics not relevant to your course of study such as your leisurely pursuits, which implies that they are assessing your personality and not just your knowledge and skills. Facing an interview without proper preparation can spoil all your effortssince this could be the most critical stage towards fulfilment of your career aspirations. Hence, this involves conscious preparation from your end to be successful at this stage, to help you stand out among other contenders.Participating in mock interviews with the peer group will help you a lot in developing self-confidence, and regular practice will give you an understanding on how to articulate your answers and responses in a way that you do not sound too mundane and monotonous. Your composure and articulation during the personal interview round will speak for your preparation and forethought, leaving a positive impression on the interviewers. Sometimes, the first impression that you leave on the interviewers makes all the difference and is enough to clear the final hurdle on your endeavour to get into a B-school of your choice. Another aspect that you need to focus upon is your personality and body language, which speaks volumes about your attitude in general. Having a confident body language with a pleasant countenance makes a good combination to create a lasting impression. Some business schools also include micro presentations as a part of the selection process to test the presentation skills of the aspirants. Presentations are meant to analyze the knowledge, preparation, confidence, public speaking skills, and convincing ability of the aspirants before their selection for the MBA program. So, you can now understand that the objective of various stages entailed in the selection process is to test your cognitive abilities as well as the different aspects of your personality. This means that making it to a good business school will require rigorous preparation on your part with equal emphasis on all the aspects evaluated in the selection process. Hard work and preparation always pay, so the only trick is to go fully prepared. SMU MITB (Analytics) is Asia’s first professional master’s programme to meet this demand (1 year full time course / 2 years part time course) . Co-designed by leading global and regional sector firms from hospitality, tourism, supply chain, retail, healthcare, public sector and telecommunications, it promises a robust and systematic understanding across processes, operations, data, technology solutions and management supervision. It is aimed at professionals with a background in Computer Science, Information Systems, IT, Engineering or the Sciences. A GMAT score is a must. This is a course which is well recognised in the industry . We do not say that the professional courses do not good. They are good, they add value to one’s career, they help in earning a living and they shall be pursued. But this comparison is not fair as MBA is something which empowers one to excel further in their careers. It is not just about education and knowledge; it is about attitudes and practice. It is about experiential learning through real time examples, trainings and assignments. If I give a thought to the networking opportunities an average student at IBS gets in an MBA Program, there are lots. Initiating right from the day one of joining, a student not only meets the batch mates and the teachers but also gets to connect to various other B-school students & corporate in the management festivals, the corporate exposure during the Summer Internship and the Management Research Project further facilitate the students in networking. Then there is the largest Alumni base – which is an existing network for all those who join the bandwagon. An MBA programs offers you faculty guides, corporate mentors who provide the required hand-holding at various junctures of learning & training and this we believe are one of the most significant shaping stones for any student or trainee. Whereas, most of the professional courses, students are left on their own – with the lecture-listener-examiner relationship.